My Hoya parasitica was obtained from a Thai vendor who very kindly threw it in as an extra on an order in 2010. I don’t know much about the plant other than there are a number of clones of the species that are broken down into three distinct groupings. I am unsure which group my plant falls into. It makes a handsome plant that blooms and grows quite easily with ordinary care. The leaves have pronounced veining with plenty of silver splotching. The blooms have a powerful scent and last around five to seven days before dropping. 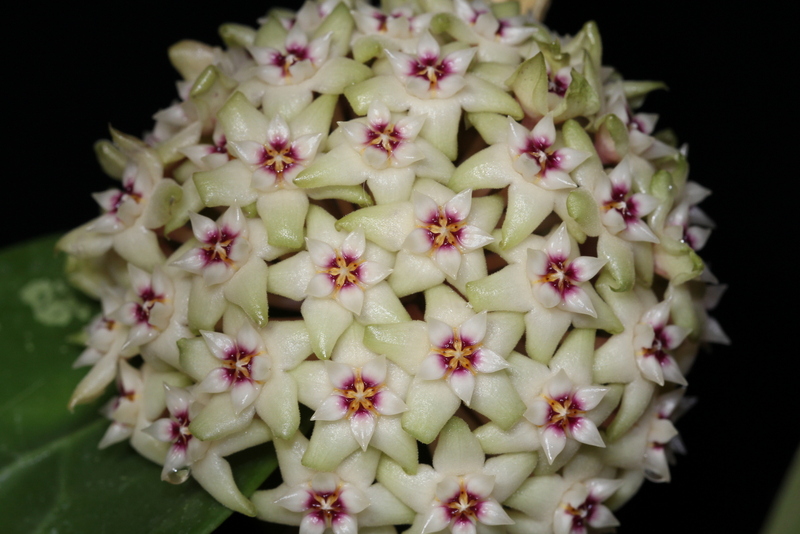 This Hoya makes a wonderful beginner plant for those new to Hoyas. I can heartily recommend this plant to everyone. Hoya parasitica showing the entire plant at two years old.